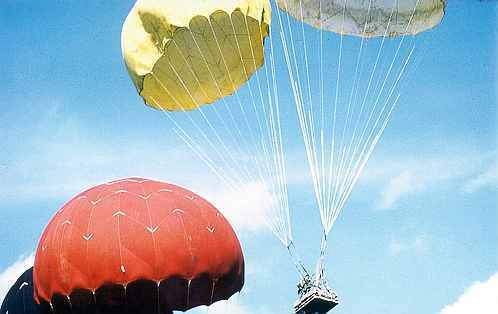 The Caribou air drop photos were during the summer of 1968 in the north-central part of 4 Corp, Delta area, at My Dien II. 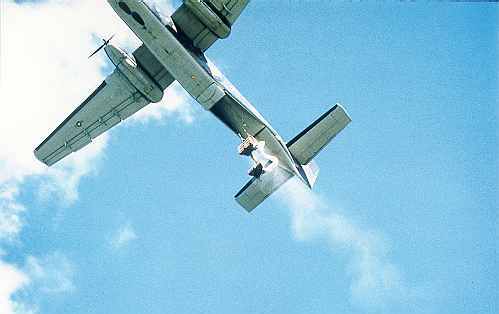 My Dien II was a Special Forces A-team, A-416 was the team number and at the time the photos were shoot by myself, I was looking into a malfunction problem we were having with the G-13 cargo chutes. 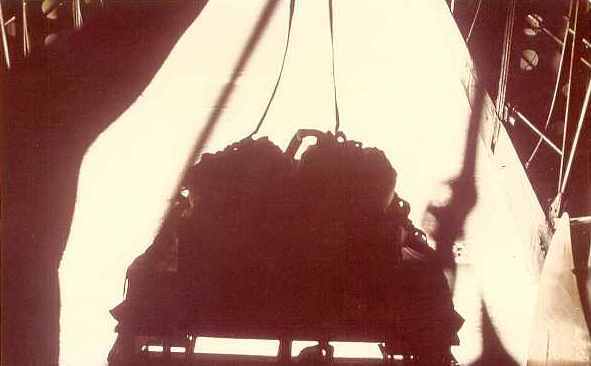 The chutes when packed on the table in what was called the long-fold, the lower edge of the chute was folded back about one foot and tied with some 1/4" cotton tape with an 80lbs braking strength. 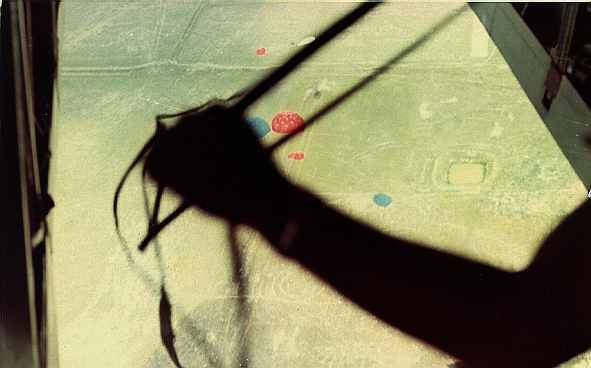 This was there to help the chute to pull completely out of the deployment bag before opening of the chute began. 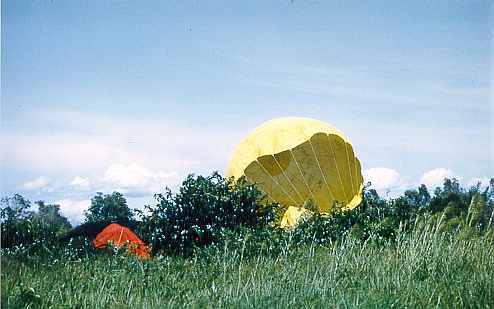 Some of the A-teams were reporting back to us riggers at the C-team, C-4, in Can Tho that the chutes were streaming in, without the 1/4" tape braking. 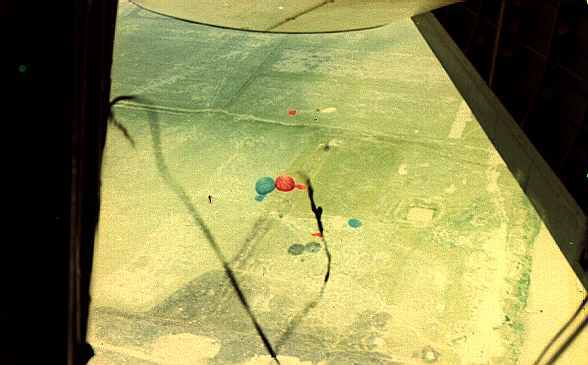 From the photos I took from the ground at My Diem II, and from kicking the loads out the back end of the Caribou's, it was determined that the bundles were rolling upside down as they left the Caribou tail ramp and the tied off part of the chute's lower skirt was catching inside the deployment bag, and braking the 1/4" tape also used at the end of the staticline brake-away point at the apex of the chute. 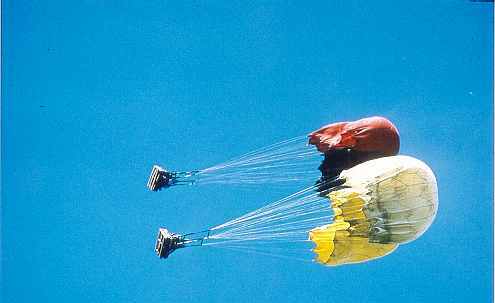 Therefore the skirt was being held closed and air could not open the chute after braking away from the staticline. 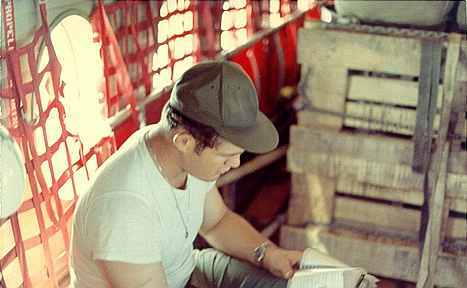 Airforce Load Master in a C7A Caribou checking over his airdrop check list before resupply mission. 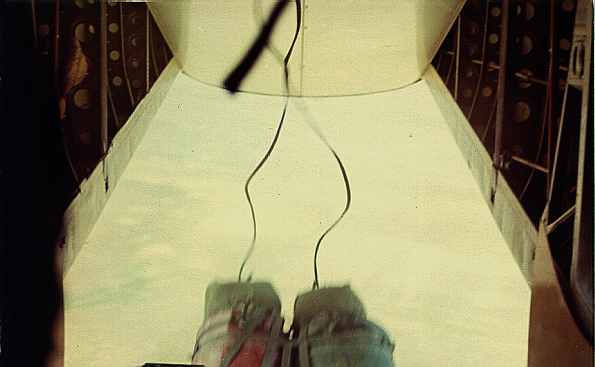 Inside a C7A Caribou.POL is rigged inside of A-22 containers and topped with G-13 cargo chutes. 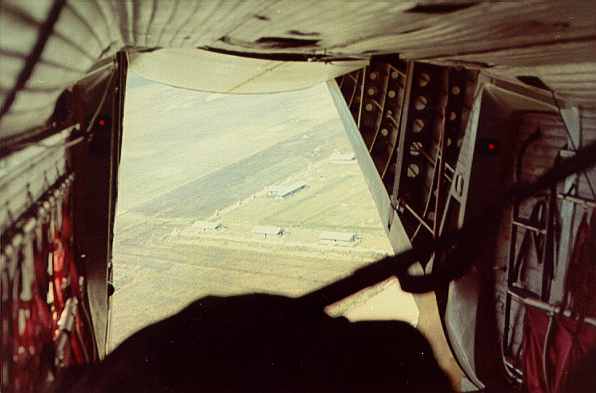 POL in A-22 containers with G-13 paracutes. 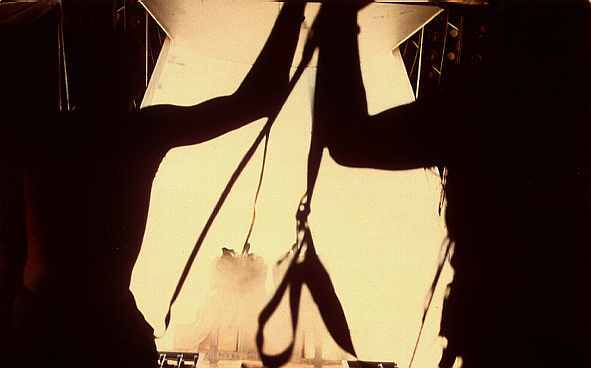 Static lines hooked to overhead anchor line cable. 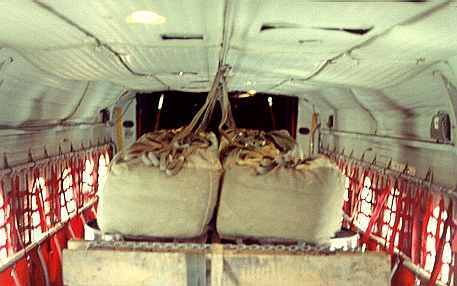 1000 lbs loads of ammo. 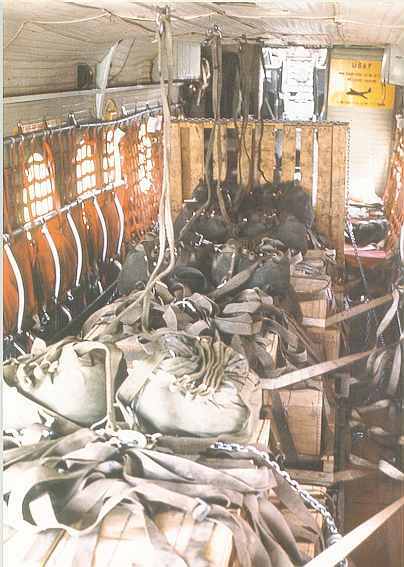 Rigged in A-22 containers with C-7 parachute. 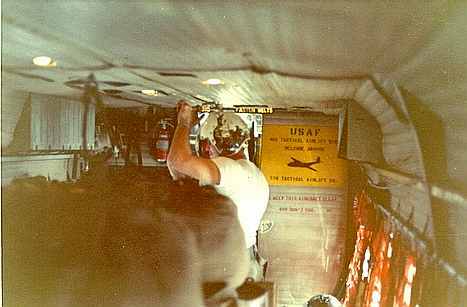 inside C7A Caribou aircraft. 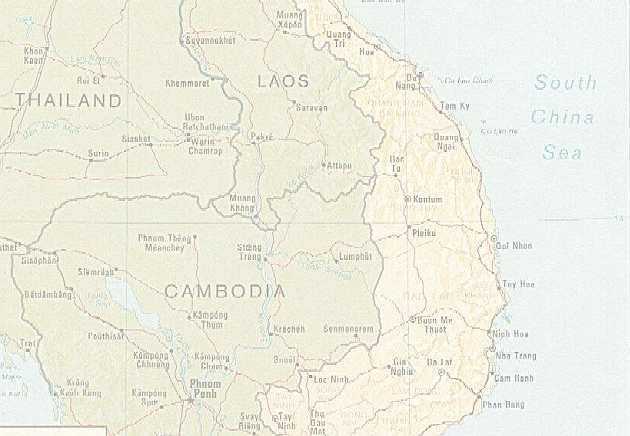 Company "D" Can Tho.